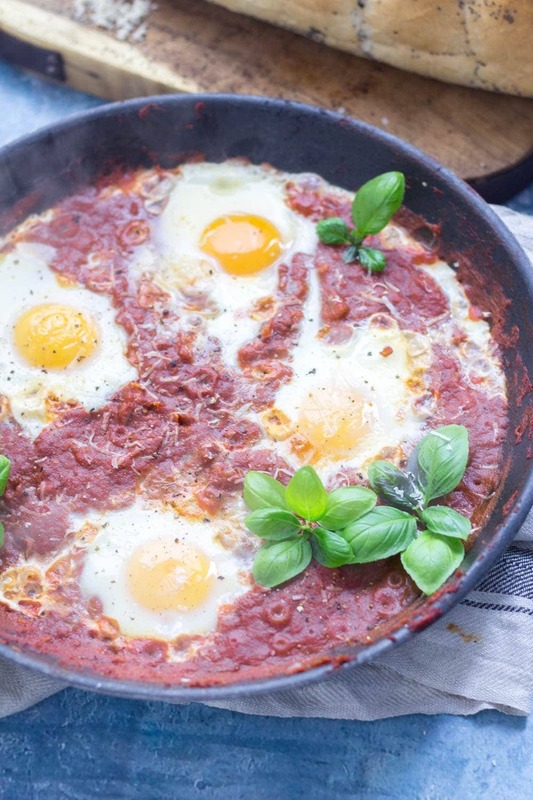 Serve up a hearty breakfast with this Italian shakshuka. Made with a delicious oregano tomato sauce and finished with a sprinkling of parmesan. Hey team! 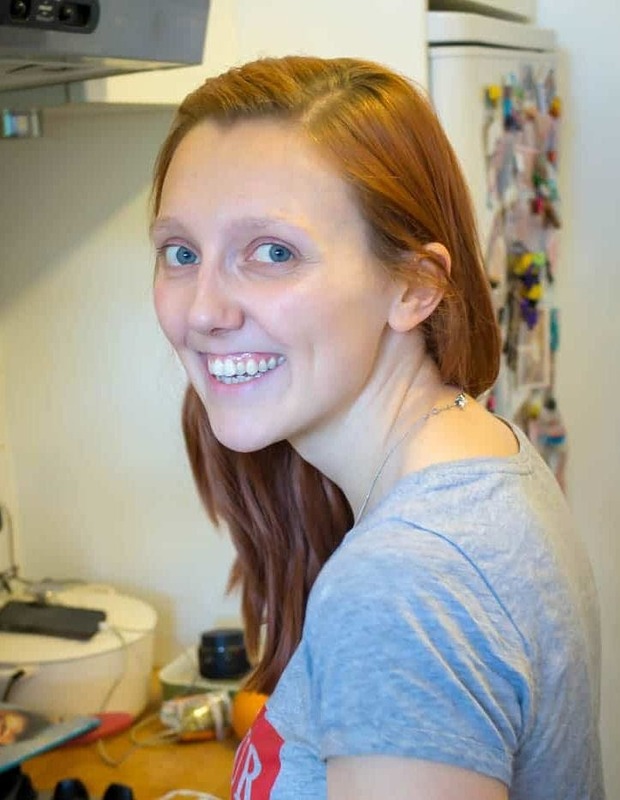 I’m here to answer all your breakfast needs today. 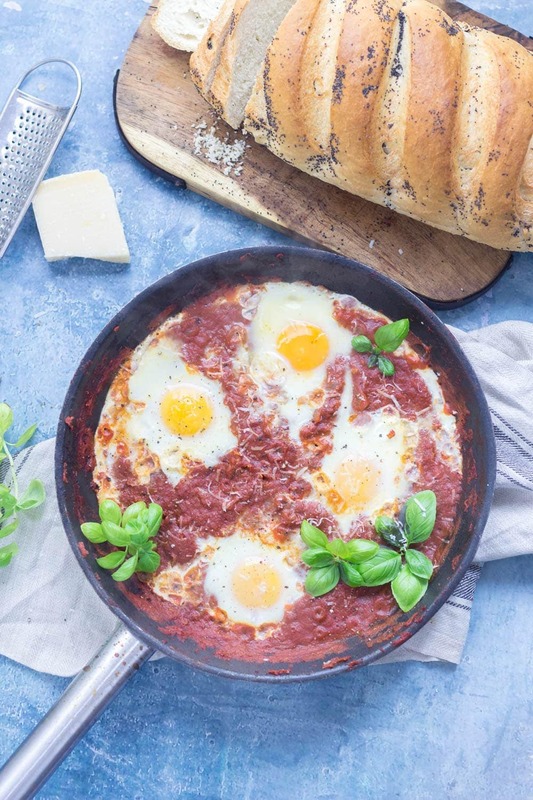 So we all love shakshuka (obvs) but are you maybe starting to think it’s time for a little change from your usual recipe? 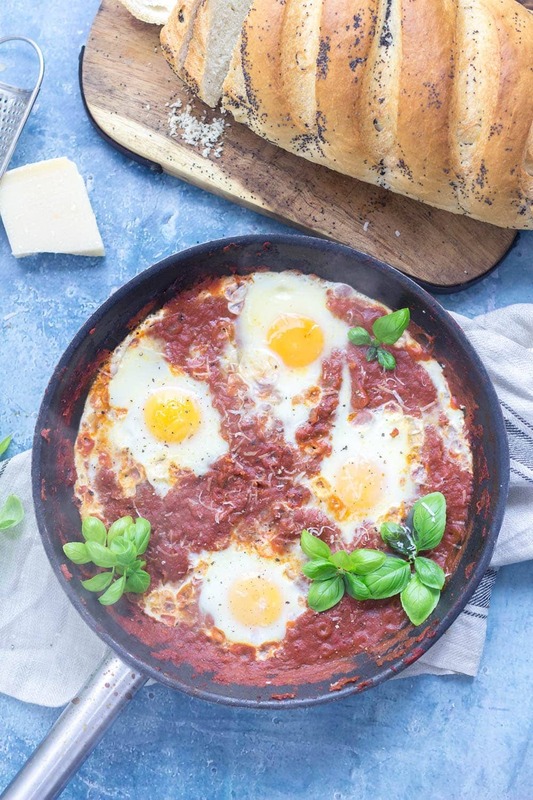 Then you need to try this shakshuka with an Italian twist! It’s honestly one of my favourite breakfast dishes I’ve eaten in a long time. Instead of the classic flavours of shakshuka this one’s got garlic, oregano, basil and parmesan in there instead and it’s just such a good comforting breakfast (or lunch, or dinner). Will and I love a lazy weekend breakfast. It’s one of our favourite things about the weekend and it’s a great time to try a new recipe every now and then. Of course most of the recipes on here are dinner recipes but I like to include other things we’re eating and, if you’re like me, you probably want a tasty brunch every now and then that doesn’t require you to spend a fortune at a restaurant! Plus, don’t forget that shakshuka makes an amazing dinner as well! The beauty of this and any shakshuka is that they look so impressive but they’re actually so easy to do. Once you’ve made your simple oregano tomato sauce you just crack a couple of eggs and you’re ready to go. Make sure you’ve got plenty of fresh basil on hand as well as a finely grated sprinkling of parmesan then just break into those yolks with a hunk of crusty bread. HEAVEN! 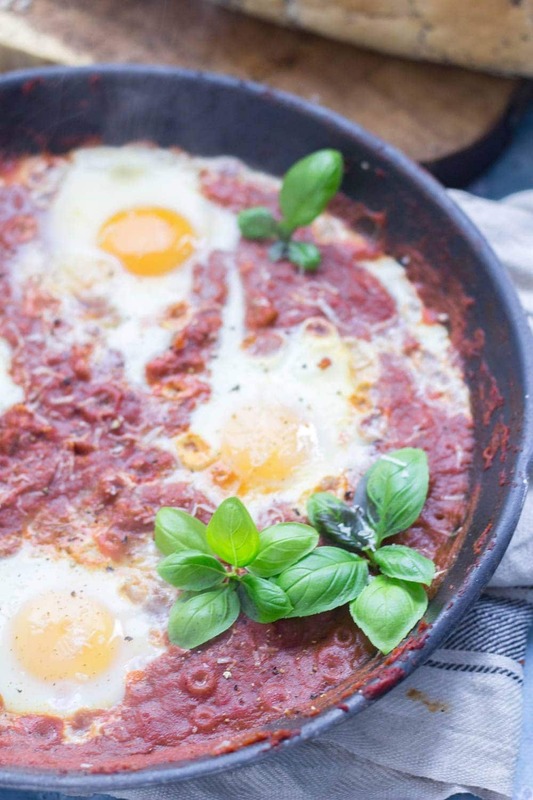 Keep scrolling for the full recipe for this Italian shakshuka! 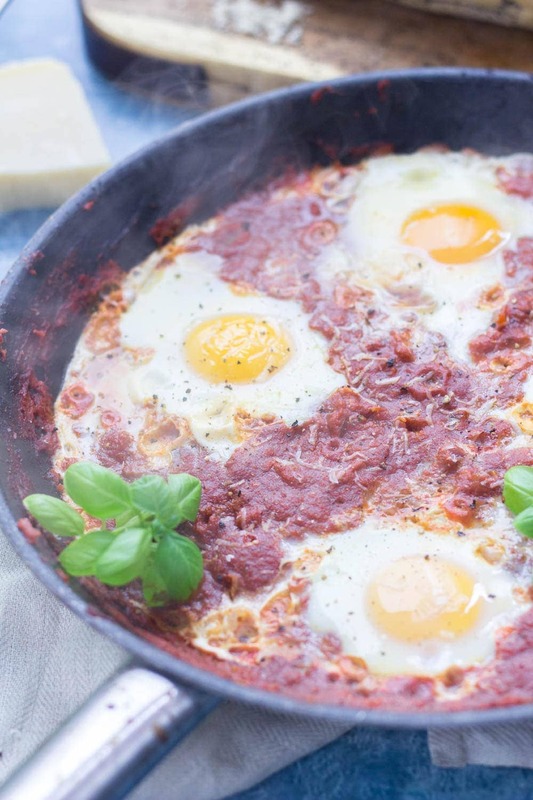 WONDERING WHAT TO DO WITH THE LEFTOVER INGREDIENTS YOU’VE GOT FROM MAKING THIS ITALIAN SHAKSHUKA? Heat the olive oil over a medium heat in a frying pan or skillet and cook the onion for 5 minutes until softened. Add the garlic and salt and pepper to taste and cook for another couple of minutes. Pour in the passata and add the oregano and turn the heat up slightly. Cook for 10-15 minutes until reduced enough that you can make 4 wells in the sauce without it running back into the gaps. Crack an egg into each well and cover the frying pan, cook for 5-7 minutes, until the whites have set and the yolks are still runny. 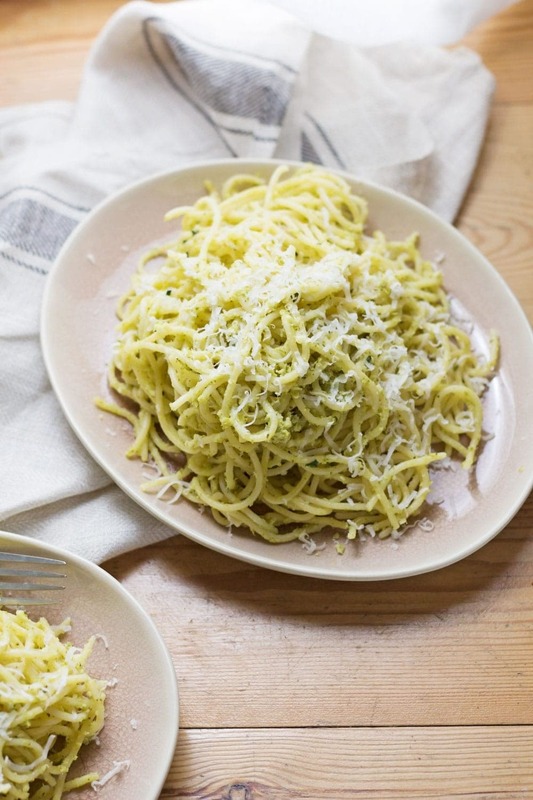 Serve sprinkled with grated parmesan, basil leaves and crusty bread. What’s in Season in April? Recipes Full of Colour! I can’t believe I haven’t made shakshuka yet! I am so behind the times. It looks comforting and filling especially when paired with that rustic bread. I’ve been wanting to try a shashuka! This looks perfect. Thanks Michelle, let me know if you try it! This is very similar to a traditional Italian dish called “Eggs in Purgatory.” I never tire of meals like this! What a great meal! I can’t believe it’s so easy! Definitely going to try this soon! Thanks Patty, it really is! 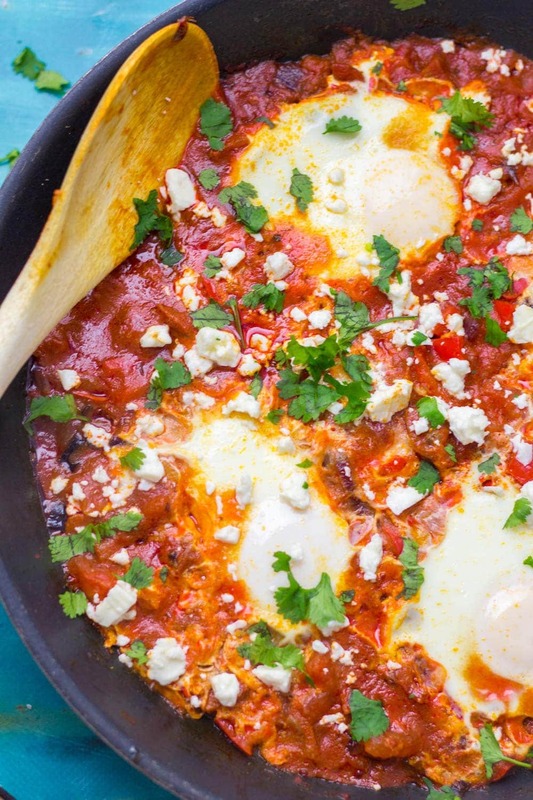 This is a Shakshuka I’m definitely going to try. It has to be amazing with some pasta, a dish I love to call “Pastshuka”. Hahaha!